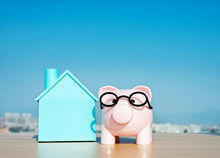 Home Ownership, American Dream or Pipe Dream? When purchasing a home, a mortgage is almost always an inevitability. To help ensure the best outcome, it’s important to plan ahead and make a decision that meets your financial and personal needs. Mortgage Loans: Which One is Right for You? As you shop for a new home, you may notice that there is an overwhelming amount of options at your disposal.